As the fall semester moves along, students around the country are taking on more and more responsibility, and working on more and more class projects and assignments. At LearningRx, we want to work with students on a regular basis so that their brains stay engaged during the semester. As a brain training franchisee, you’ll be able to work with students of all ages and help them unlock greater cognitive potential. 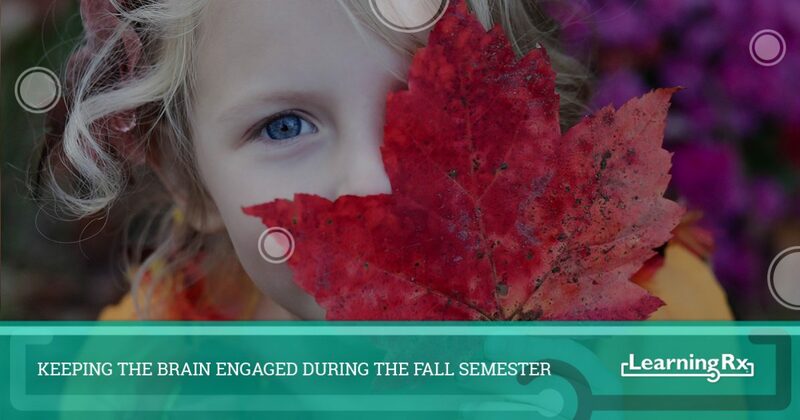 In this post, we’ll look at three ways that students can keep their brain engaged during the fall. With the changing of seasons and shorter days, students are getting up before the sun, and staying up late to finish assignments before going to bed. A lack of sleep can be the number one enemy of an alert and engaged brain, and if a student is falling asleep in class, it can lead to both academic and personal struggles. All it takes is one demanding teacher to call out a student for dozing, and the semester can quickly take a turn for the worse. 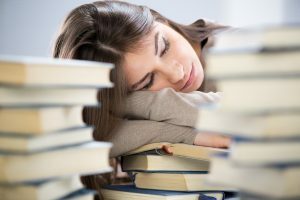 High school and college students may think they can sleep minimal hours and still keep their grades up, but without enough rest, they can quickly fall behind. If you work with students of this age, then encourage them to go to bed at a decent time, and to schedule their time so they’re not up until the late hours of the night. Students can quickly settle into a routine during a new semester, and this isn’t always a bad thing. However, if they get too used to their daily schedule or routine, they may gloss over things or try to keep their brain on autopilot for the majority of the day. This can work, but without the proper focus and attention, steps to an assignment or instructions from a teacher can be missed. By trying something new, whether it’s a sport or an extracurricular activity, can engage different parts of the brain and make a student think in different ways. If they’re developing motor skills for a certain sport, then the brain will have to make new connections regarding movement and hand-eye coordination. One of the best ways to keep the brain engaged during the fall semester is to work on those parts that aren’t as strong as others. If a student is struggling with short-term memory, or their reading comprehension isn’t on par with their peers, then brain training could be the key to unlocking those cognitive skills. At LearningRx, we’ve developed curriculum that’s designed to help students of all ages use more of their brain, and our one-on-one approach has proven to be very effective. If you’re interested in learning more about our educational franchise opportunities, then please contact us today. We’ve worked with people all across the country, helping them establish learning centers in their town or city. We’ll gladly answer your questions regarding start-up costs, profitability, and our franchise model.